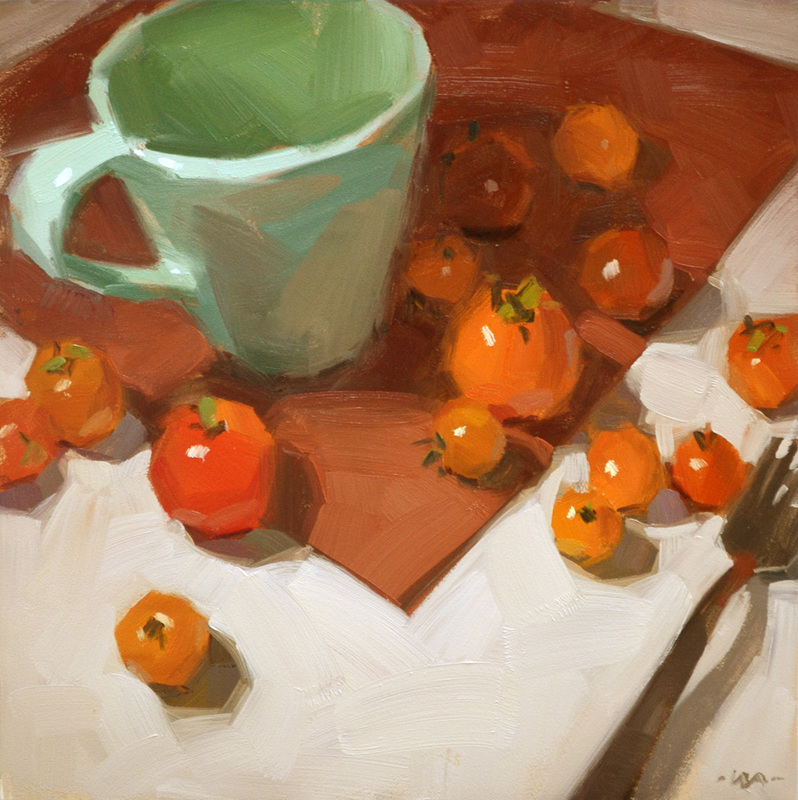 I got so carried away with tomatoes in this composition I had to upgrade my canvas size! This one is 8x8 inches. It seemed huge! And what's funny is one of my very first paintings was 6x8 feet!!! Wow! It's funny what a difference those extra 2 inches makes. Love the depth in this, truly beautiful! Love the color. Especially the reflected color on side of the cup.